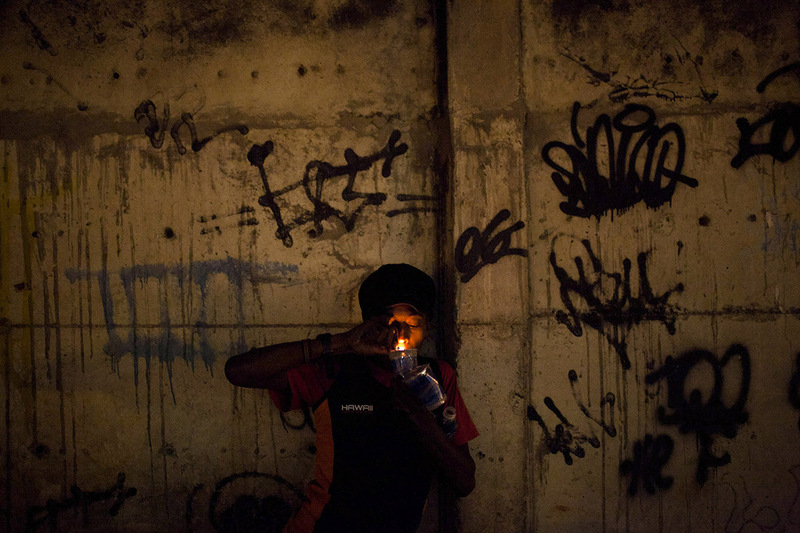 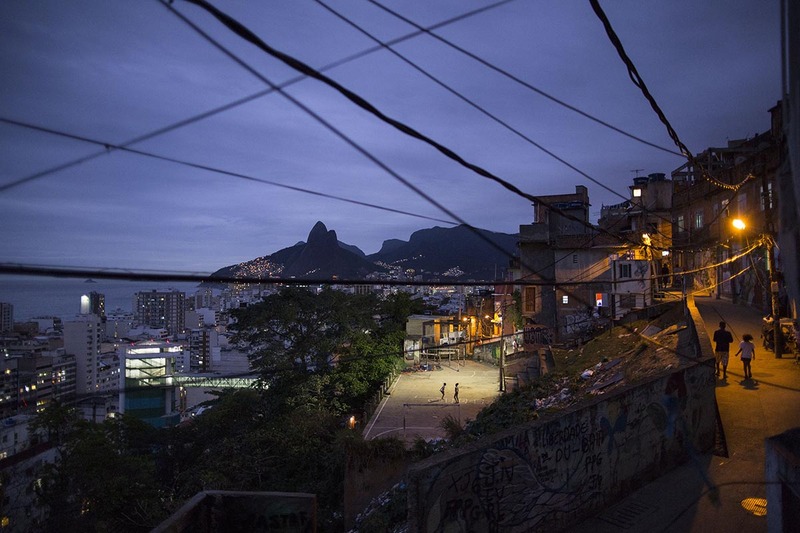 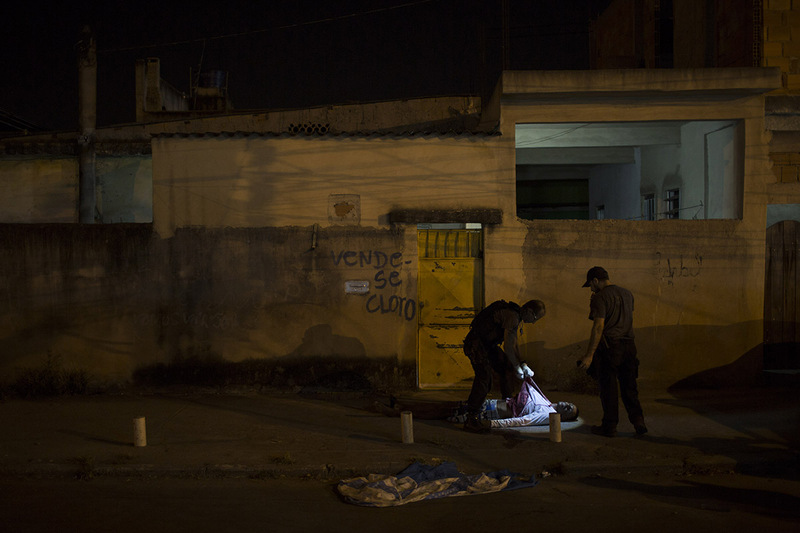 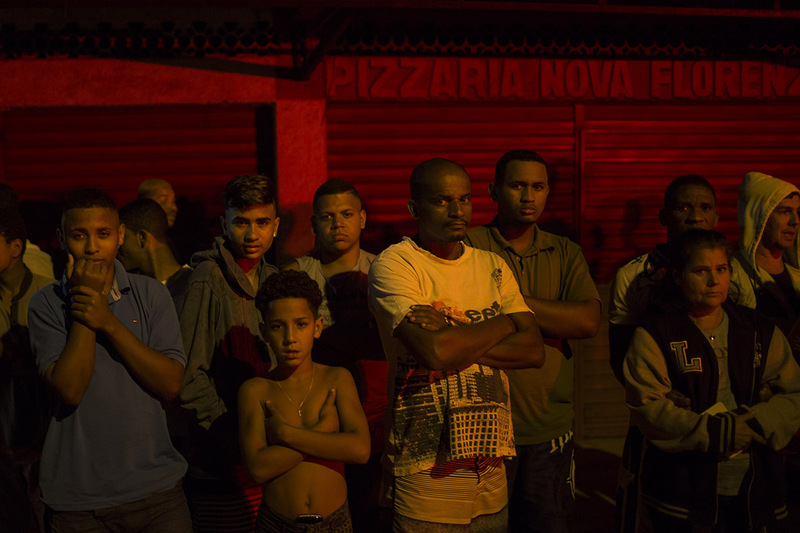 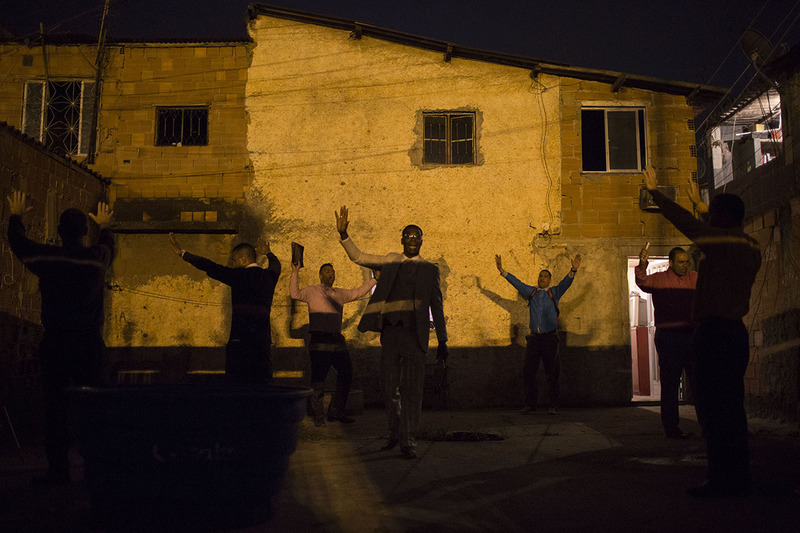 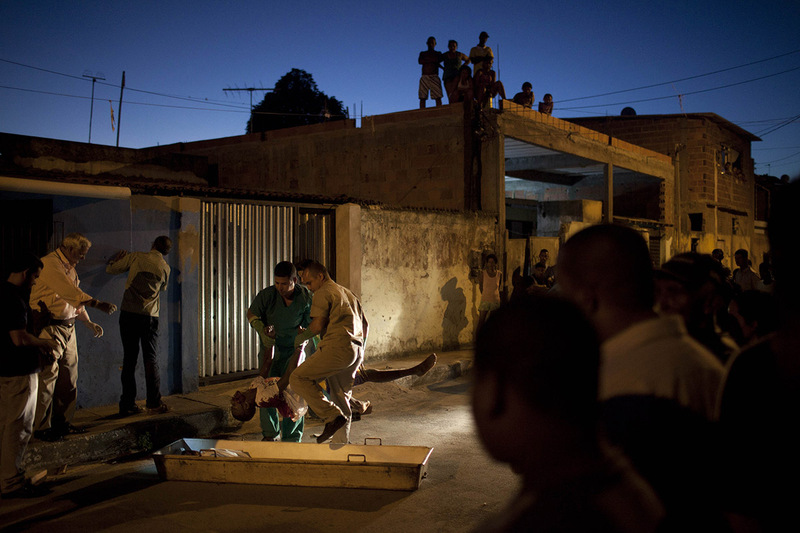 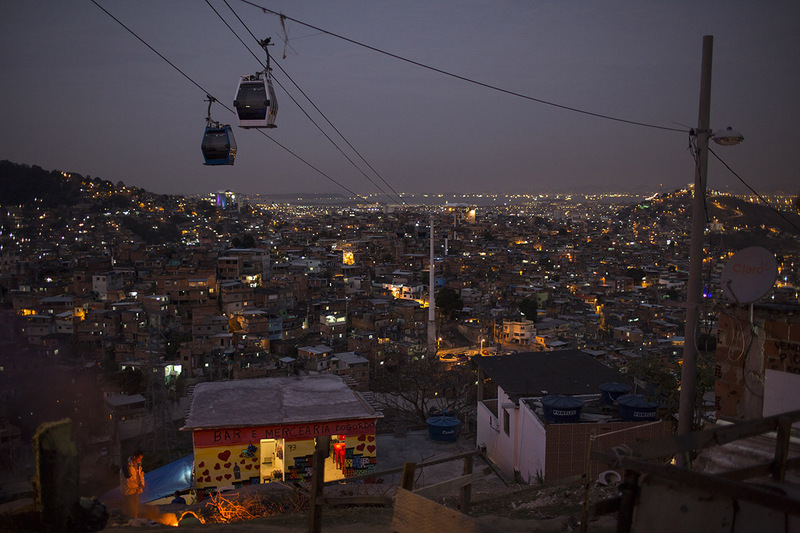 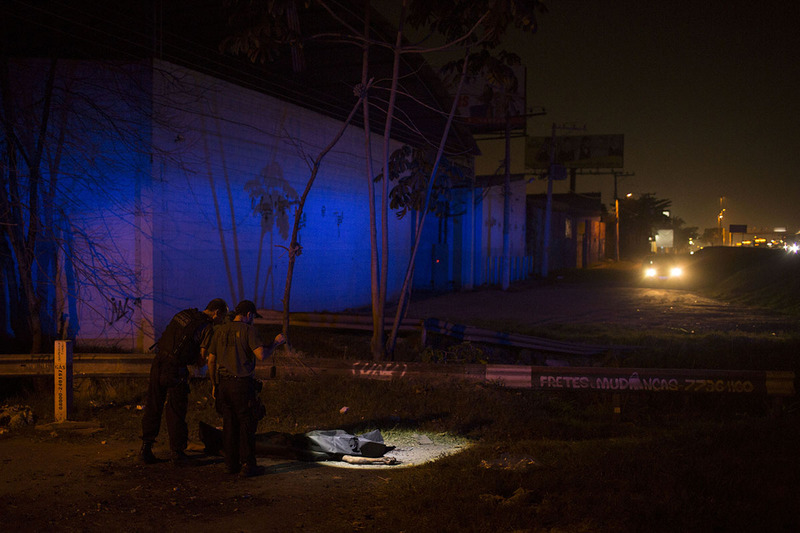 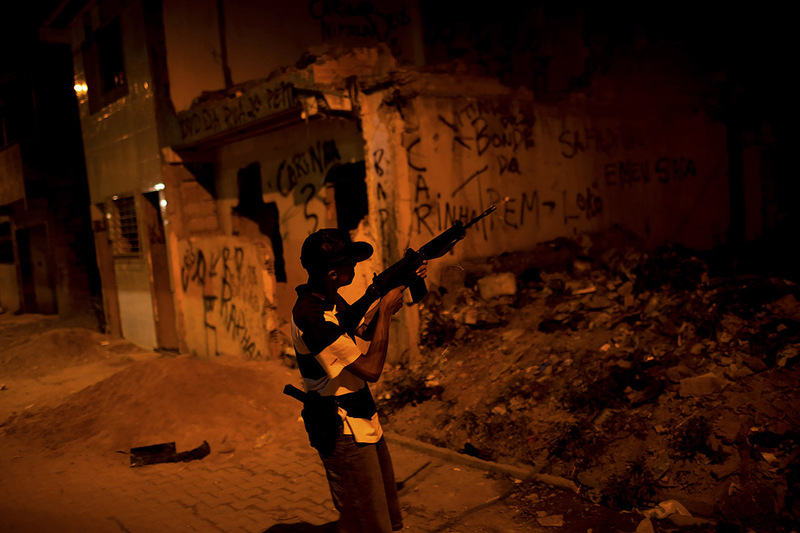 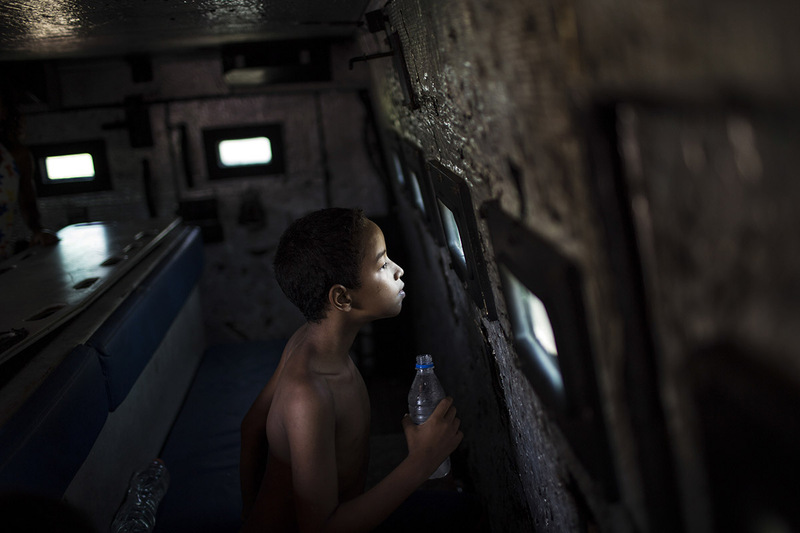 Residents watch as police work the crime scene where a man was murdered in greater Rio de Janeiro, Brazil. 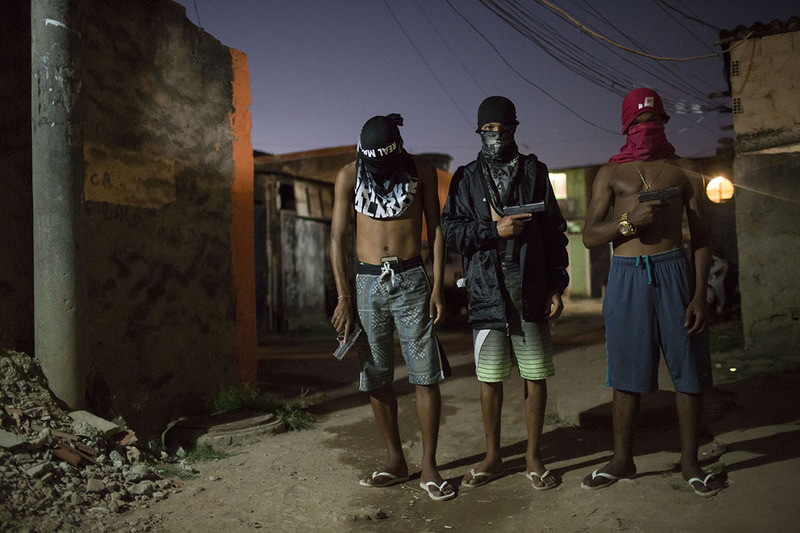 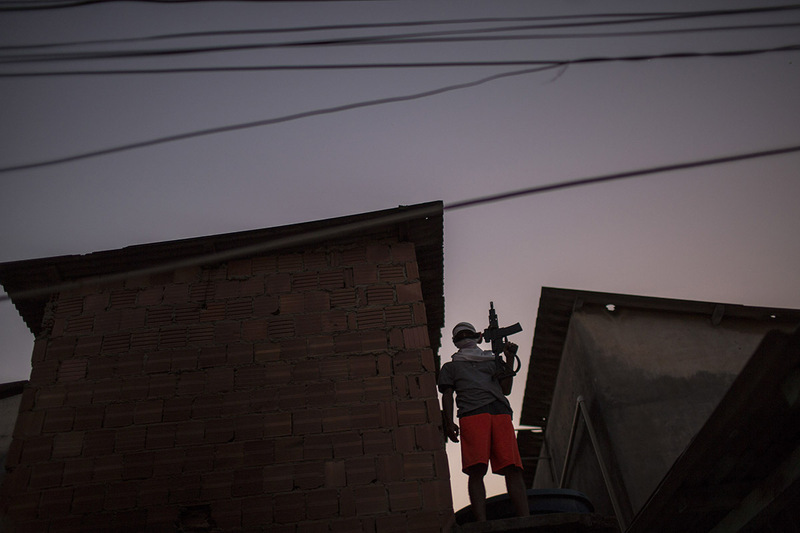 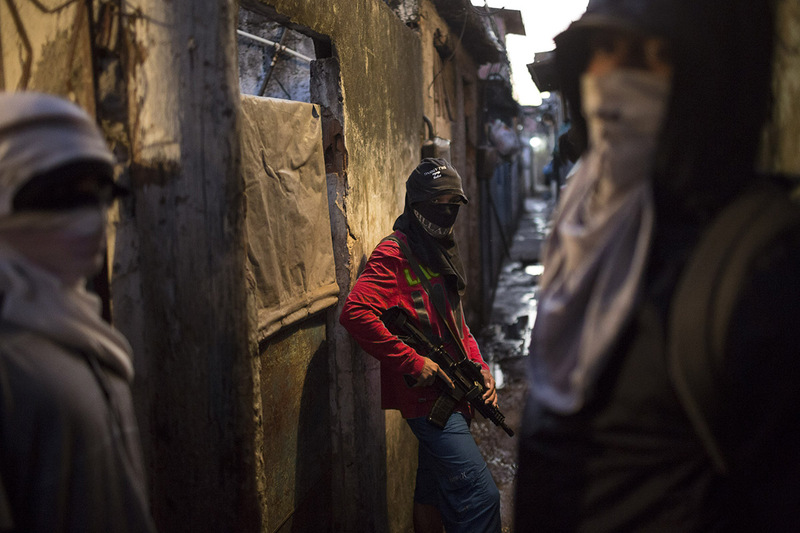 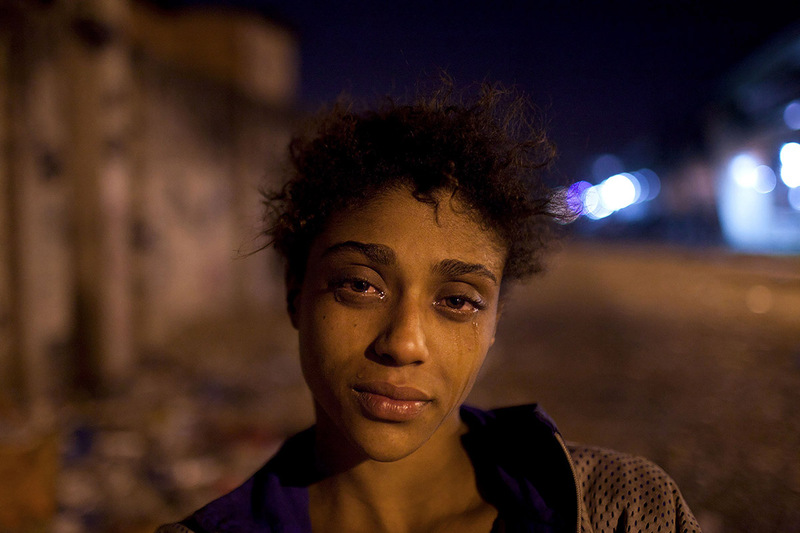 Scenes of impunity and violence play out daily in many of Rio's hundreds of slums, known here as favelas, and other outlying areas. 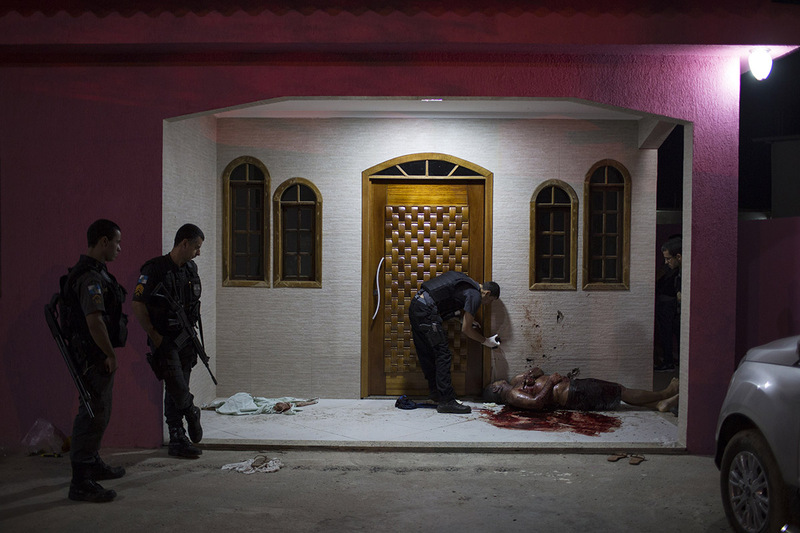 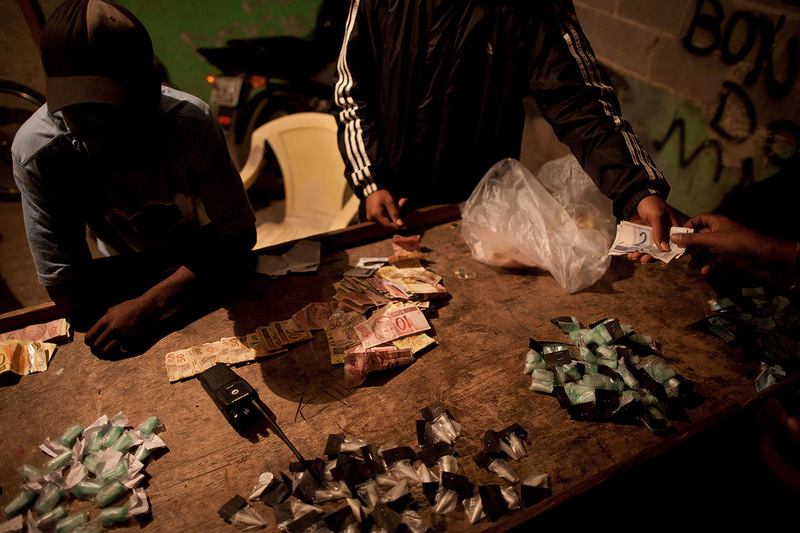 The vast majority of killings are the result of heavily armed gangs who frequently shoot it out in turf wars.